Replacing your old, inefficient water heater with a new tankless water heater is a great way to reduce your utility bills. 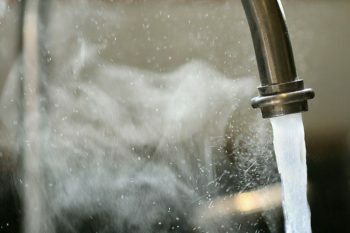 Rather than heating a large tank of water all the time, even when no one is home or using hot water, you get on-demand, endless hot water that uses much less energy. Local residents will be happy to know that John’s Plumbing & Pumps, Inc offers tankless water heater replacement in the entire Thurston, Mason, and Pierce County area. Our plumbers have the top brands available in a variety of price-points, so you can find what you need. Our experienced tankless water heater installers can make a site visit to measure your space. We can ask questions to help you target the capacity that is right for your home or business. We are here to answer any of your questions and go over the details of the different types of tankless water heaters from various manufacturers. What are the benefits of a tankless water heating? No need to pay to keep a large tank of water heated day and night when not in use. Heated water comes in an endless supply, never running out. You don’t have to wait for exhausted hot water to reheat before it is available again. Tankless water heaters save space. 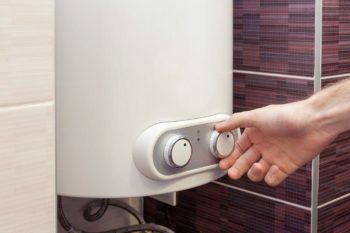 Options for gas or electric tankless water heaters. Once you have a specific tankless water heater replacement in mind, we deliver it to you. Already bought one? No problem. We can install your tankless water heater, even of you do not buy it from us. In addition to installing the replacement, we are also happy to remove your old water heater for you. Our dedicated plumbers and technicians have the know-how to handle any tankless water heater replacement. We ensure that the installation is done to exact manufacturer’s specifications. We stick around to test the unit and installation to make sure that everything is safe and working as it should. Whether you opt for a gas tankless water heater or an electric replacement, we can safely install it for you. Our professionals are hand-selected for their experience and know-how. We are each certified, and our company is licensed, bonded, and insured for your peace of mind. As a locally-owned business, we care about our customers. We have over 60 years of experience offering dedicated plumbing services to the Olympia area. In that time we have built a reputation for quality services people can rely on. We have a broad range of expertise, including well water services and pumper services. We know there are plenty of other plumbers out there, so we encourage you to check out our A+ rating with the BBB and our many positive ratings on reviews sites. We know you can trust us, but we want you to feel confident in that as well. Contact us today for safe, high-quality tankless water heater replacement.